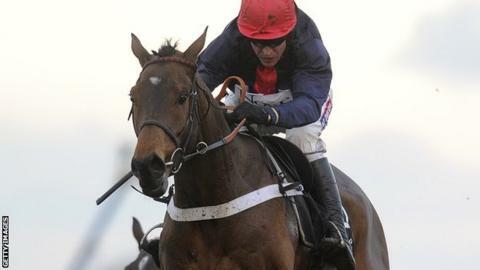 Cheltenham Gold Cup favourite Bobs Worth will miss his intended prep run on Saturday. The eight-year-old will not run in the Argento Chase at Cheltenham and will go straight to the big race at the Festival in March. Trainer Nicky Henderson said the horse was found to be "not quite right" after a routine check-up on Monday. "We very much wanted to run, but the good thing is it doesn't affect March in any way," Henderson said. The trainer was reluctant to risk the horse, who won the Hennessy Gold Cup at Newbury in December. "There was something not quite right with him and it's just going the wrong way, rather than the right way," Henderson added. "We were scoping him and there was a little something there. It's not wise to run at the weekend if he's not going to perform to his best." Tidal Bay is also reported to be a doubtful runner, with trainer Paul Nicholls describing him as "slightly lame". The 12-year-old won the Grade One Lexus Chase at Leopardstown over Christmas but Nicholls says he is "odds against" to run on Saturday. The meeting hinges on an inspection on Friday morning because of snow.